Finally found the desert trails in Carlsbad. 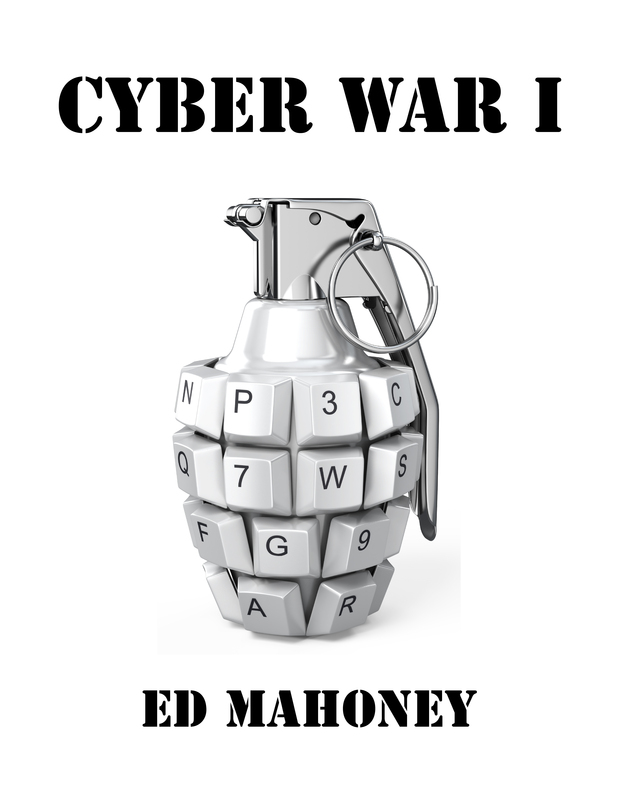 I had to up my game on searching the Internet. I discovered a defunct Cavern City Running Club web site that lead me to hints of 15 to 20 miles of mountain bike trails on the south side of town. 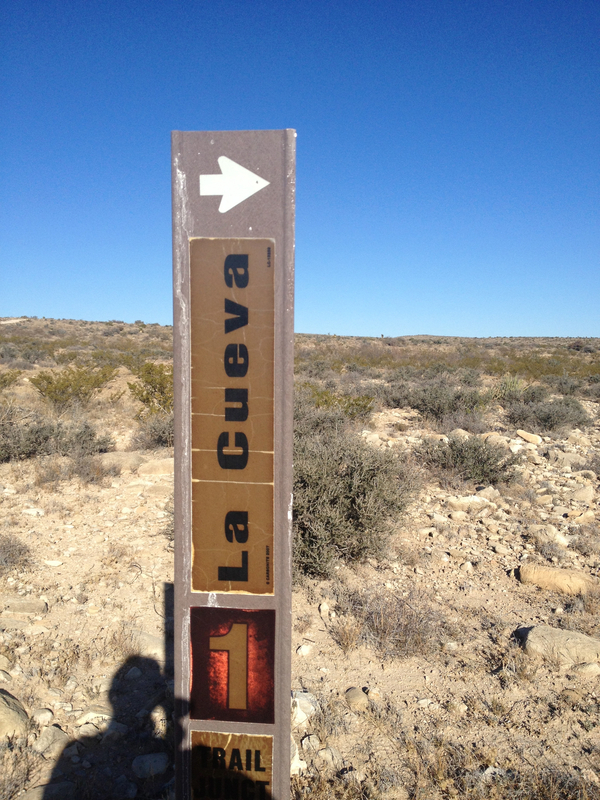 A few expert searches later I discovered La Cueva Trail. If you can find yourself to the intersection of Lea Street and Standpipe Road, the trail head is about 3 miles south on Standpipe. After 2 miles, you’ll pass through a 15 MPH S-curve. You’ll cross over a cattle guard after another .8 miles and then see a dirt road to your right after another .2 miles. Take this dirt road. You’ll pass some boulders lined up on your right after a tenth of a mile which is half way to the trail head. Parking is on the left before the road splits in a Y. There are three trail signs. To the far right is La Cueva. Left of this is a trail sign oddly named Back To Truck. Left of this is the right branch of the road and further left is another sign for La Cueva. Apparently it’s a 20 mile loop. I suspect most runners/bikers start out taking the right branch. They say if you want to avoid the crowds at Disney World, branch left at the entrance and move clockwise through the park. Ever the contrarian, or perhaps because I’m left-handed, I took the left trail loop. This is a rugged trail. The surface is more rock than dirt and difficult to follow in places. There are spots lined with rocks and the occasional cairn but I lost the trail numerous times. At one point I crossed a creek and found myself following false trails that linked up various oil wells. After meandering for ten minutes I turned back to the creek and saw where I made my error. I should never have crossed the creek bed. From then on I paid more attention to the infrequent strips of yellow or pink tape in tree branches. Even when I turned around though I lost the trail several times near the creek because there were so many variants. Generally upon losing sight of the path, the best decision was to simply run straight ahead until the trail presented itself again. And it helped to keep my head up to look for tape and the path on the horizon. 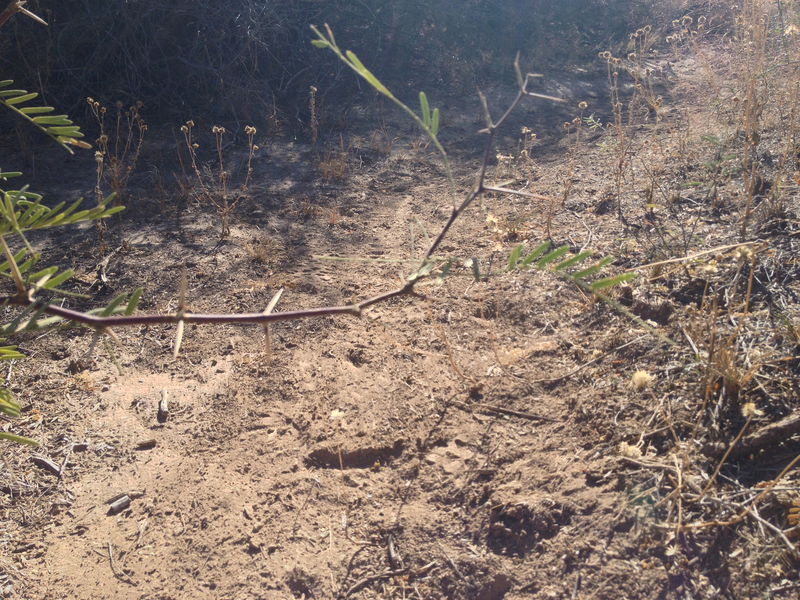 This lead to missing the aggressive Ocotillo thorns splayed out across the trail immediately in front of me. I suspect Ocotillo is Apache for blood thirsty savage plant. I highly advise wearing gaiters on this trail to protect your shins and ankles. I left behind my share of DNA on La Cueva. Although I was more concerned about snagging the thin material of my North Face shell. It was 42° with a bit of a breeze when I started out but warmed up quickly and I tied the jacket around my waist. I didn’t see any rips in my shell afterward but did pull out a few thorns that left micro holes. 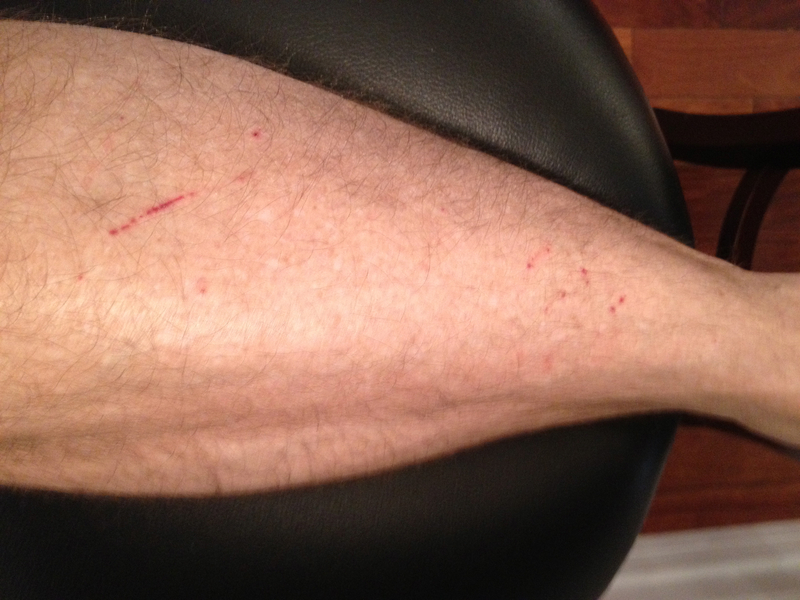 Click on the pic to get a better view of some of the skin damage to my shin. I was never worried after losing the trail because it seemed easy enough to find again. The scariest moment was when I found myself running directly into a raging bull. We played chicken for about two seconds before he mercifully veered off the trail. I was very close to jumping into the Ocotillo bushes. Overall, this was a fairly satisfying run. I got in nearly 8 miles in 75 minutes. I think I could have run faster had I been more familiar with the trail. I plan to return and next time will run the loop counter clockwise.